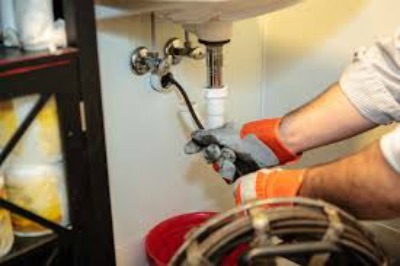 Torrance Drain Cleaning and Sewer Line Repair Services, Don’t be Stuck with a Torrent! When it rains, it pours–but it shouldn’t be pouring in your home! If you’ve got a torrent raining down on you from inside your home, or if your drains simply need cleaning, don’t hesitate to call Torrance Plumbing and Rooter! We’ve had the best prices in town for the last 20 years! Best of all, you can call day or night: we’re open 24 hours a day, seven days a week for all emergency plumbing situations! We only hire certified professionals, and we are licensed, bonded, and insured for the protection and satisfaction of our customers! We will be at your home in under 90 minutes, and we offer written estimates in advance! There are no hidden fees or surprises for our customers! You always know what you’re paying for, and how much it will cost! Clogged Drains Can Cause a Whole Slew of Problems for the Whole Family! The chances you’ll find something we haven’t done before is slim to none! With more than 20 years in the field, we’ve seen it, and we’ve fixed it! We Offer Video Camera Inspections of all Sewer Systems for Your Safety and Future! We also offer affordable video camera inspections to make sure your home’s sewer system is up to code and running properly! Don’t let yourself be caught with an outdated sewer system that could potentially risk the health of your loved ones! An antiquated system can cause a host of other problems that could be prevented with an updated sewer system. Don’t leave anything to chance! Call us today! We’re here for you!